NHS Grampian has been accused of failing patients awaiting eye treatment in Moray after it was revealed waiting times are nearly double the target. The health authority enlisted outside support last year after it was revealed that the delay for cataract operations was more than a year. Now it has been revealed that despite the current wait being slashed to 33 weeks – the total is still well above the 18-week target for treatment after referral. Concerns about the declining level of eye care at Dr Gray’s due to recruitment issues have been raised since 2015. Nurses at the hospital were put through specialist training last year to ensure that some services could return to Elgin. Yesterday, NHS Grampian stressed that work to create extra space for weekend appointments in Aberdeen was currently being done while the wait for urgent cases was just one week. However, despite the improvements, Moray MP Douglas Ross has pressed for the backlog to continue to be addressed. He said: “A 33-week waiting time is bad enough but that is on top of a similar wait to see the consultant in the first place. This means that people are waiting well over a year to have a cataract removed. NHS Grampian has already apologised to patients awaiting treatment for the length of time they have had to wait for the treatment. 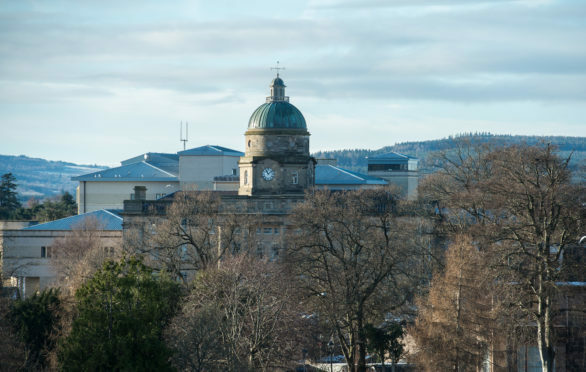 Karen Thomson, divisional general manager of surgery services, explained it is hoped that creating extra appointments in Aberdeen will encourage Moray patients to travel for treatment to reduce the waiting time at Dr Gray’s. She added: “Unfortunately, it is very difficult to give an accurate timeframe for any patient’s operation as the waiting time they face can be influenced by a large number of factors.